RealCorp is delighted to offer you the well-known and brilliantly-located Impulse office building, refurbished to a very high standard by BesixRed and Q Invest. 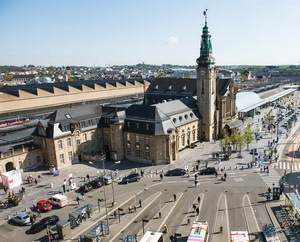 Luxembourg is a world-renowned business centre at the heart of Europe, and Impulse near Luxembourg Gare is a convenient first stop for anyone arriving by train. 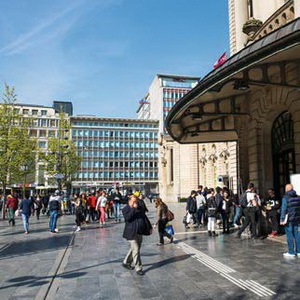 Of the 80 thousand people who use the station every day, thousands come via Belgium, France and Germany. 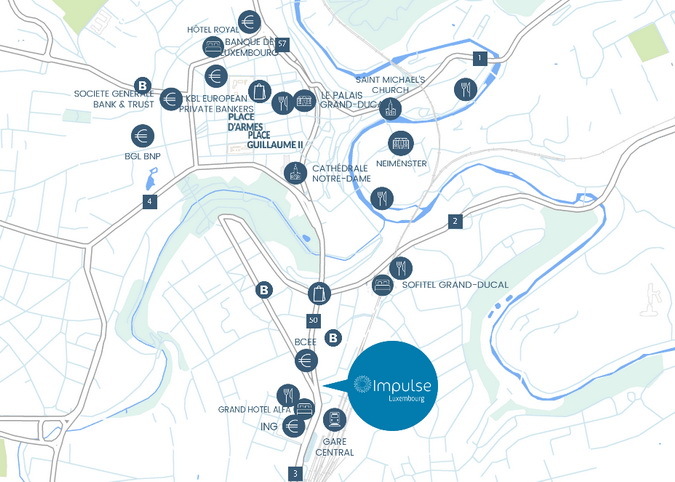 Therefore, Impulse is an excellent gateway between Luxembourg City and foreign markets. Impulse has a high ratio of parking spaces for car drivers. For other commuters, the proximity of the bus terminus is a huge plus. And say goodbye to traffic congestion! Staff will appreciate the convenience of services and facilities all around them. 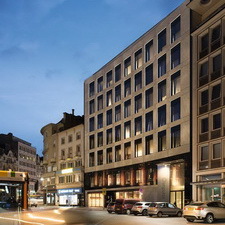 For business decision-makers, access to key areas of Luxembourg by public transport is easy — 5 minutes to city centre, 10 minutes to Kirchberg, and 15 minutes to the airport or to Ban de Gasperich. 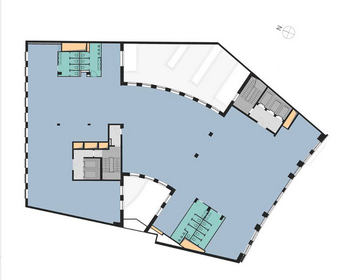 The wellbeing and security of Impulse users have guided the refurbishment approach. So too have usability and environmental factors such as office flexibility and energy efficiency. On arrival at Impulse, the visitor enters a prestigious entrance hall with natural stone flooring and stainless steel wall panelling. 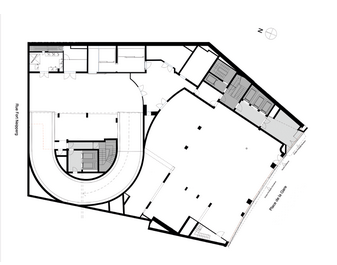 The high-quality presentation and carefully considered technical features continue through to the offices. These are highly flexible and modulable, with a free height of 2.70 metres. 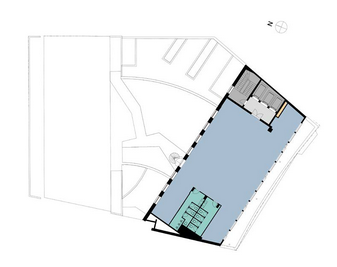 The offices also have access to attractive landscaped roof spaces. 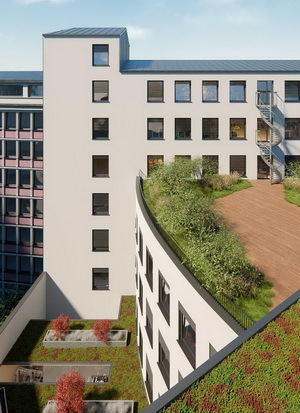 Impulse is the first building in Luxembourg to meet the high demands of the BREAM Refurbishment certification. 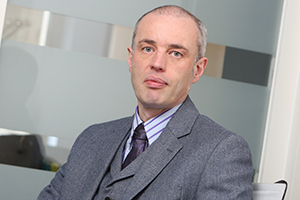 The “BRE Environmental Assessment Method (BREEAM) is a well-respected UK voluntary rating for green buildings by the Building Research Establishment (BRE). Impulse is designed to achieve a BREEAM Refurbishment “VERY GOOD” certification with correspondingly low energy use and bills. 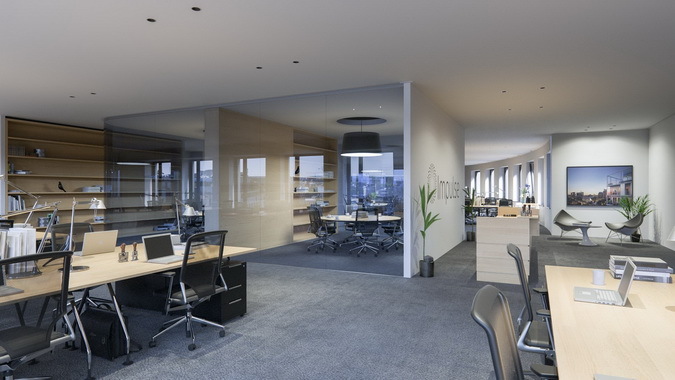 Along with LED lighting, the offices also benefit from increased natural lighting and reversible metallic ceilings for temperature management, as well as double-flow ventilation. An Energy pass C is being studied. 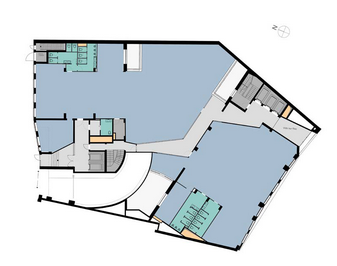 The total office space available is 6453m² divisible from 414m², with a parking ratio of 1/80m². 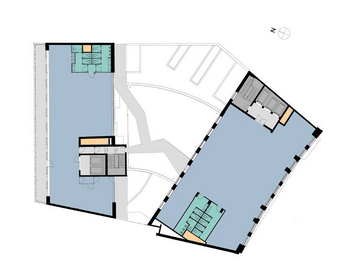 There is an external terrace on the 5th floor in the centre of the development. Showers are available in the basement. Cooled via a chilled water unit in the technical room at SS-3 and an air-cooler on the roof. 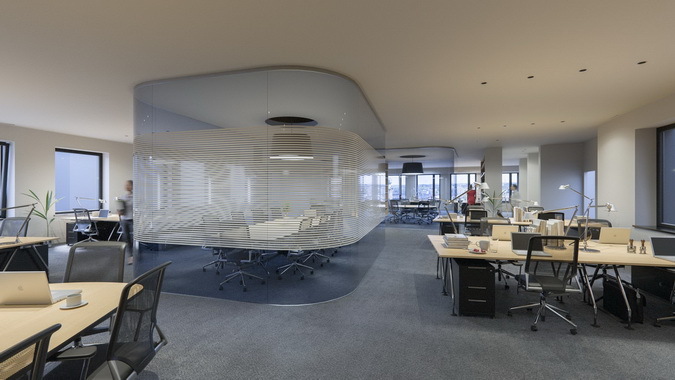 Office areas have reversible hot/cold metallic ceilings. Heating, cooling and dehumidification batteries in air treatment units ensure hygienic air renewal. 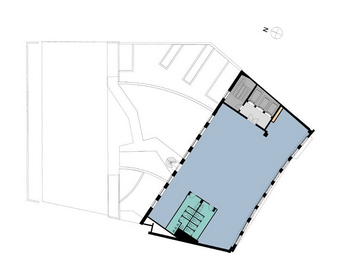 For technical cooling in private areas, a potential power of 5kW is available. To avoid overheating, external blinds are controlled electronically with wind, light and rain sensors, or via a switch in each room. Centralized management by the KNX system is planned. An air handling plant, with a flow of 20,000 m3/h, works on a fresh air rate of 45 m³/h per person. This double-flow distribution and recovery plant recovers energy from used air and pretreats fresh air. Galvanised steel ventilation systems deliver treated fresh air to the rooms and ensure hygienic renewal of the air. A CO detection system controls ventilation in the car park to avoid the stagnation of harmful gas. Decentralised hot water production uses electric boilers only near consumption points: kitchenettes, showers, etc. Sanitary facilities use cold water only. Infrared timed valves limit drinking water consumption. Drinking water pipes of multi-layer synthetic materials (e.g. GEBERIT Mepla) distribute only cold water. A medium voltage substation of 630 kVA ensures the electrical supply. A modular No-Break power supply guarantees uninterrupted replacement power. Earthing, equipotential bonding and lightning conductor are in place. Security installations, telephones and computers have fine integrated protection. A general low-voltage switchboard distributes and meters electricity between transformer and secondary boards. Secondary distribution boards are installed at all points of high electricity load and in each rental area. Technical rooms are equipped with standard IP55 switches and sockets. Offices and common areas (staircases and elevators) have an IP 20 KNX-compatible system for control units. Light sources are LED and lighting levels are based on legal standards and degree of protection. A KNS-BUS controls daylight-sensitive lights; sanitary rooms, corridors and stairwells have presence detectors. A central battery supplies emergency LED lighting to exits and emergency lanes during network breakdown. A technical room “PT” is reserved for Internet access and telephony (fiber optic) for each user. Telephone installation is common to the infrastructure of the so-called Data network. Active components such as telephones and telephone installations are not provided. An intercom system in the main entrances is dedicated to the different rental areas. Anti-intrusion presence sensors at shared technical room entrances allow access only to authorised personnel. An IP Access Control system protects the building’s technical premises. Fire boxes (RIA) and fire extinguishers are installed in sufficient numbers. The whole building is equipped with an automatic extinguishing system (sprinkler). A fire detection system covering all areas is planned. 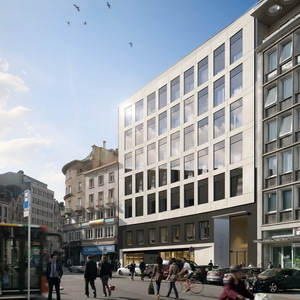 Located at 5 Place de la Gare, L-1616 Luxembourg, this office building could not be better situated for commuting and travel.